Attention active people and go-getters! For those who would love a companion to run, walk, play, or just be goofy with, Maisy was made just for you. 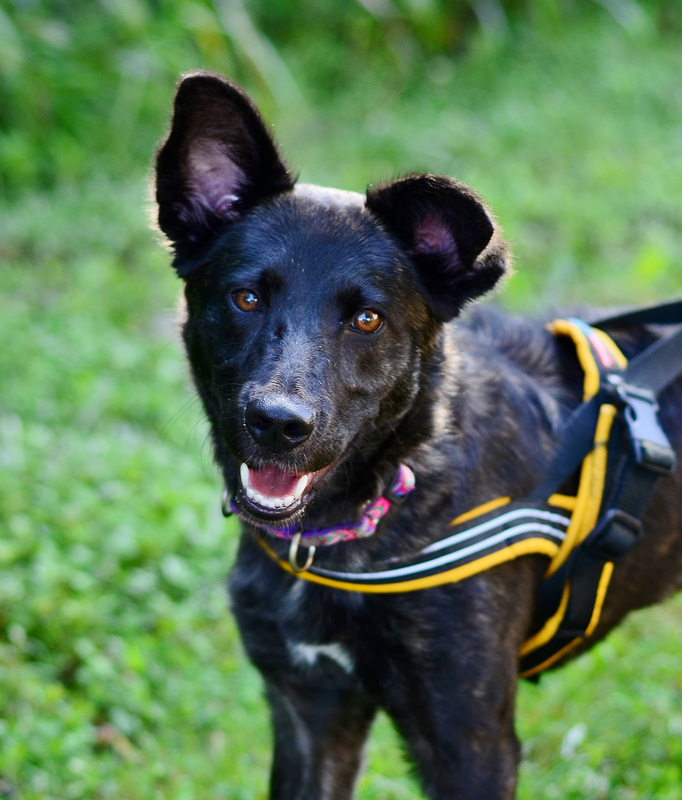 She is a lovesome 2-year-old shepherd mix who loves to get out and enjoy life; she is no “couch potato.” She displays the typical personality traits of a Shepherd — intelligence, strength, and loyalty. Even though she has a lot of playful energy, she uses it for romping or toy playing, not for jumping on people. When approaching her she instantly rolls over for a belly rub, a true sign of politeness. A companion for both people and dogs alike, she would make an ideal new addition to any family. “Striking” is the best word to describe Tango. 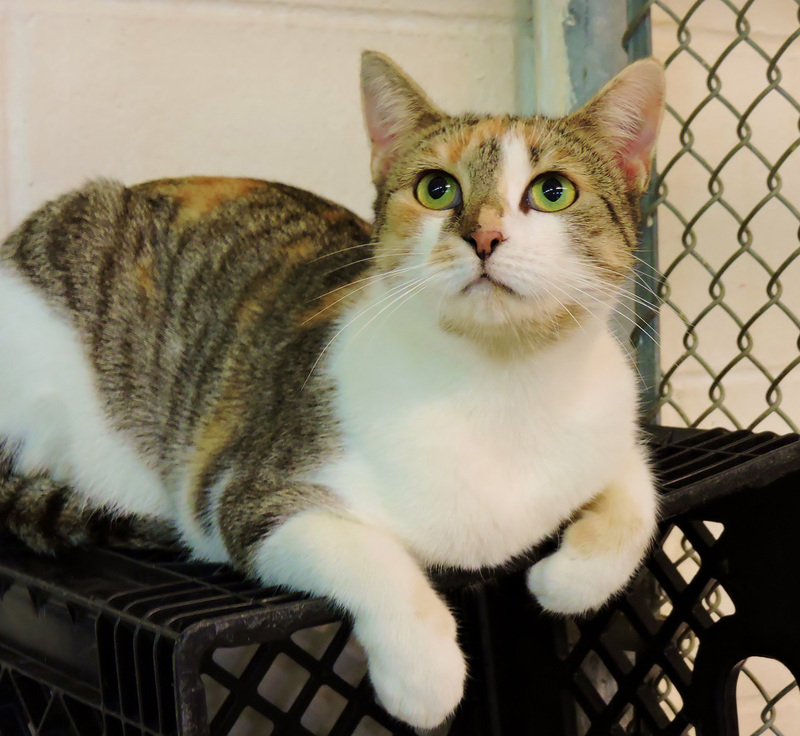 With a beautiful torbie coat and a very outgoing personality, Tango is an eye and heart-catcher for sure. If the stripes and splotches of her soft coat don’t mesmerize you, her cheerful meowing and friendly attitude will definitely steal all of your attention. Full grown at just over nine pounds, Tango is a smallish cat with a larger-than-life personality. She loves attention and returning it with lavish affection. She gets along with most cats, but really shines when she’s the center of attention. Tango is waiting for you, so don’t waste any time meeting her and making her a new member of your happy family.